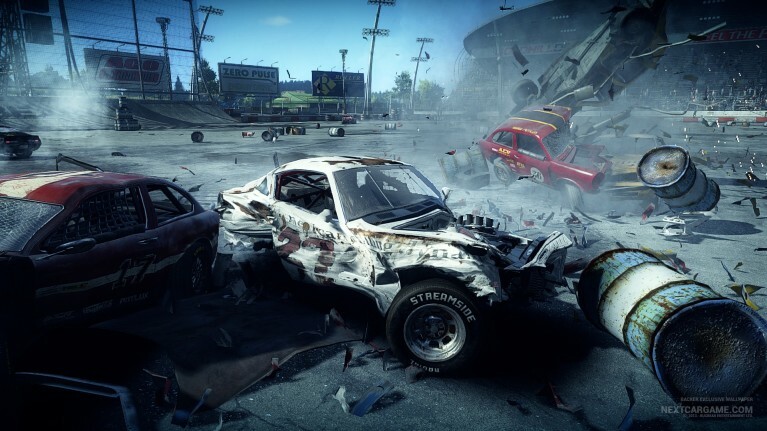 FlatOut is one the few games I have more or less completed and probably the only racing game. The nitpickers out there will probably want to know how I fared in the silly sideshow mingames that involved throwing a ragdoll test dummy out of the window and onto a dartboard and the like. And did I get first place in every race? Yeah, no I got to the final race and won. And then I had had my fill. Game completed. So there. Example: The word ‘fetus’ has been trademarked. I propose ‘betababy’ as a new word. And then @donofmath comes along and guesses that I’m trying to refer to an unborn child in it’s mother’s womb without getting in trouble with the Trademark Police. I couldn’t write ‘beta baby’ as ‘baby’ had already been used once and so had been trademarked. The whole thing is obviously a pariody of the whole Candy Crush Saga absurdity where the publisher of CCS tried to get a monopoly on using the words making up the game’s title. Or something like that. The internet doesn’t tend to preserve the nuances of IP law debates very well. You can get rewarded by other players for particularly good new words but mostly you’ll just be challenging yourself to come up with something at once precise and witty. Which can only be a good thing. You know the vague foreboding that that brilliant thought (ok, Descartes-wannabe, let’s not kid ourselves, more like bad pun or meme-in-the-making) you just had is already somewhere out there on the internet. Similarly, you know the sense when people tell you that what you’re going on about as if though you were the first to think of it has a name and people have been working on it for decades. No, what games are good at is suggesting stories. The thing that games have above all other media is interaction, which is to say that games have systems. Systems that dictate the rules of a fictional world. Systems that allow the audience to prod the world and feel it push back. Systems are what make games into games, rather than movies with joypads. It’s called emergent storytelling and I’ve been thinking about it ever since obsessively playing the original Crusader Kings back in the mid 2000s.